To succeed in life a person has to do hard work no matter what line. Adam Sandler, the man who makes millions laugh with his hilarious acting did not take life seriously but celebrated it. He is regularly seen on MTV’s Remote Control and some of the other popular TV shows. His earlier life was not really easy. He got critical praise for his work in Hollywood and it was not an easy start for him. 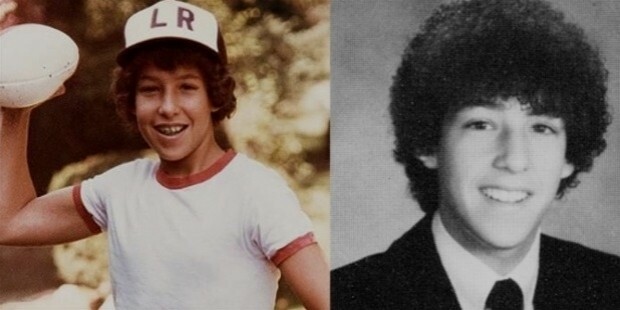 Adam Sandler was born in 1966 to a nursery school teacher and an electrical engineer. His family moved to Manchester when he was five. He was inspired from the comic talent at New York University. The determination to grow in his career made him graduate from Tisch School of Arts in New York. After graduation, Adam was regularly there on MTV’s Remote Control. It was a popular game show at that time. Going Overboard was his first debut film in 1989. He also worked on the popular American show Saturday Night Live from 1990 to 1995. Sandler created characters like Cajun Man, Opera Man and Canteen Boy. His fans kept laughing until the end of 1990’s. 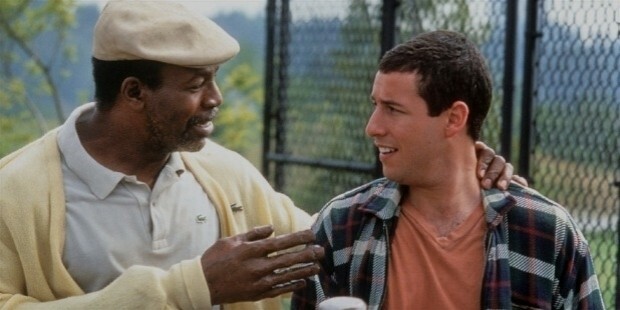 He acted in many popular Hollywood films like Billy Madison (1995), Happy Gilmore(1996), The Wedding Singer (1998), The Water Boy (1998), etc. He was also seen in some of the popular movies in which he played as a co-star with other actors. 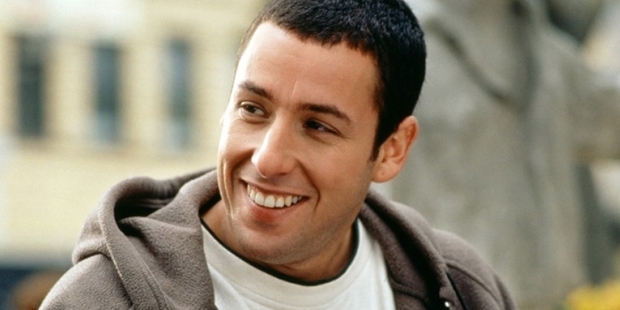 Sandler did a variety of work from strong comedies to another variety of material. He played a multitude of roles in his movies giving his best to the audience. He is popular for his great comedy in TV shows and movies as well. 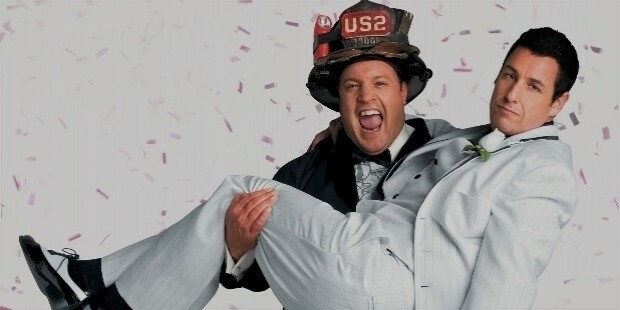 I Now Pronounce You Chuck & Larry is a very popular film of Sandler in which he played a firefighter. The film was released in 2007 and was a major hit. Sandler invested as a film producer as well in a film The House Bunny in 2008. The Comedy film made in 2010, Grown Ups was a huge success in his career, co-starring Kevin James and Salma Hayek. He was also the scriptwriter for the movie. In the year 2012, Adam lent his voice for Hotel Transylvania, an animated film. The film turned out to be a big hit, grossing $347 million. 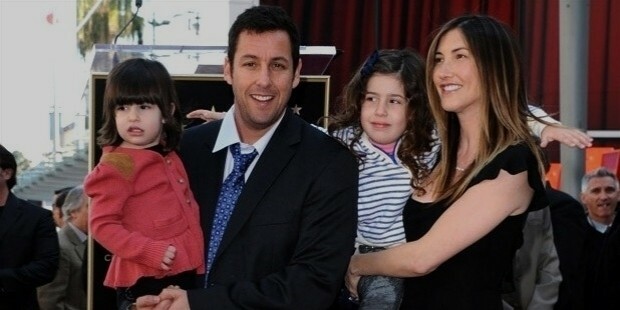 Sandler has his own production company called Happy Madison Productions. It is located in Culver City, California on the Sony/Columbia Pictures lot. The first film from this production was Deuce Bungalow: Male Gigolo. Sandler worked closely with his friends and relatives in this company. There are many comedy albums also in Sandler’s name. His first album They’re All Gonna Laugh at You was a big hit among the young people in the year 1993. Sandler married actress Jacqueline Samantha Titone in the year 2003. She converted to Sandler’s religion, Judaism post wedding. The couple is blessed with two lovely daughters. Adam is also into a lot of charity work. The biggest charity from his side was a $1 million donation to the Boys and Girls Club in Manchester. He has donated other organizations as well throughout his life.